Stephen Curry nailed the viral dance craze. As part of his Asian Tour, basketball superstar Stephen Curry visited Manila on September 7 at the Mall of Asia Arena. 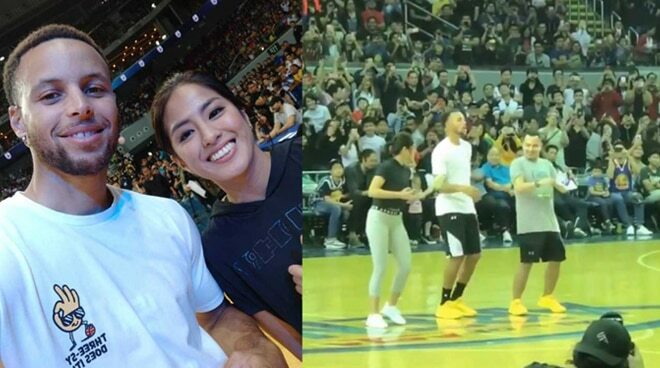 On the same event, Sports Anchors Gretchen Ho and Andrei Felix, got a chance to join the two-time MVP (Most Valuable Player) to dance the viral #InMyFeelings Challenge. Gretchen Ho posted the video on her instagram account and wrote, “THE STRUGGLE IS REAL. Halatang hindi memorize ang steps 😂😂😂 Bahala na! Si @stephencurry30 naman kasama ko!!!. Para sa mga nagtataka kung bakit ako nagphphone, nagrereport ako niyan 😂😂😂 Kaya apektado dance moves ko 😜😂 Wag kayo diyan!” she added.